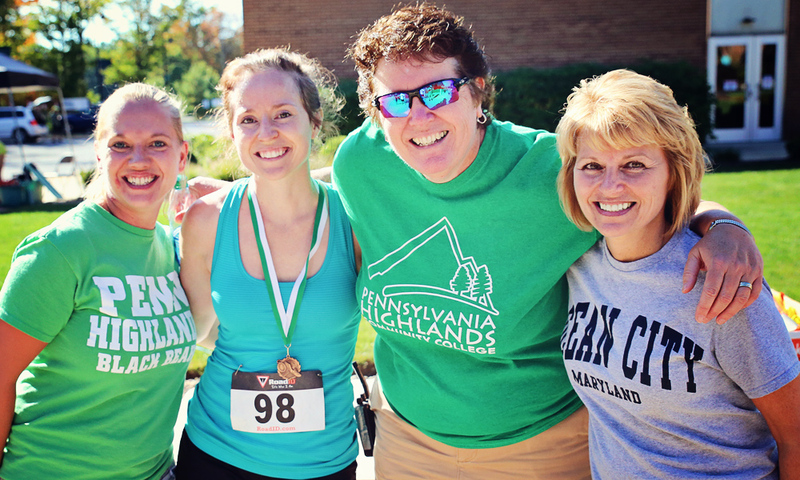 The Black Bear 5K Run, sponsored by Wessel & Company, is back and is scheduled for Saturday, September 22, 2018 at the Pennsylvania Highlands Community College Richland Campus. The race will begin at 9:00 AM, with registration occurring from 8 to 8:45 AM at the College’s main entrance. The course is an asphalt and macadam style course, and consists of three loops around our Campus and Richland High School. This race is sanctioned by the USATF. The cost to pre-register for this event is $15, and is $20 the day of the race. Registration includes a t-shirt (guaranteed to all pre-registrants received by Monday, September 10th), post-race snacks, and awards for top finishers. Non-competitive participants (no course timing) can complete any portion of the 5K; strollers are welcome. Proceeds from the event will support student scholarships, program development, and college initiatives. Any questions, please contact the Pennsylvania Highlands Community College Foundation at 814.262.6499 or by email at foundation@pennhighlands.edu.